How To Find A Great Fat Burner: Identify Ingredients With A Formula Road Map! With the wide variety of fat burners available today it&apos;s hard to tell which is a good buy. Keep an eye out for products that contain green tea or epigallocatechin (EGCG). Even an ingredient as common as caffeine can cause a great boost in your metabolism. If you&apos;re in the market for a powerful and effective fat burner that will help you drop the soft, off-season pounds and reveal freaky muscularity, there are a few key points you need to know. We&apos;ll break down some of the most important things to consider before you go shelling out more money on a fat burner that cuts like a dull, butter knife. It can be easy to be overwhelmed by the countless number of ingredients appearing on the labels of many of the latest fat burners. So to help you identify some of the most potent and effective fat-burning, thermogenic and weight loss compounds, use the following list as your formula road-map. Use The Following List As Your Formula Road-Map. This mega-potent thermogenic and fat-oxidizing compound is carefully extracted from the leaves and buds of the Camellia sinesis plant. By Franz Eugen Köhler, 1887. The raw fat-burning power of green tea is largely derived from a group of polyphenolic chemical substances known as catechins. 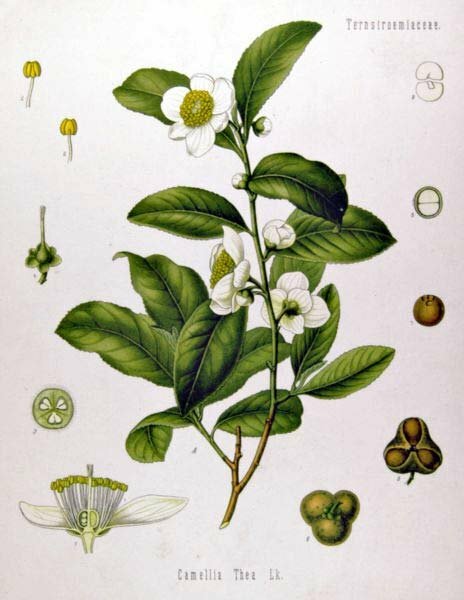 Epigallocatechin gallate (EGCG) happens to be the most abundant catechins in tea and is also one of the most studied catechins in clinical research. In a randomized, double-blind, placebo-controlled study, subjects taking a precise dose of green tea extract dramatically increased their 24-hour energy expenditure compared to a placebo group. What&apos;s even more remarkable is that the green tea extract seemed to have a preferential affinity to target fat breakdown and utilization. Had Significantly Higher Fat Oxidation Levels. Green tea catechins can also inhibit catechol-O-methyl-transferase (COMT). COMT is the enzyme that degrades noradrenaline, thus catechins prolong the effect of noradrenaline on adrenoreceptors. The activation of this receptor-mediated pathway helps you break down more fat. Now before you go loading up on green tea extract, it&apos;s important to know that only a few of the current fat burning formulas contain the exact dose of green tea used in some of these studies. Most reputable companies will let you know if their formulas are dosed according to the results of the latest research. Green tea is a remarkable substance that is utilized by the body in many ways. Working in a close synergistic relationship with green tea catechins is caffeine anhydrous. A key ingredient in any effective fat burner is caffeine anhydrous, or 1, 3, 7-trimethylxanthine as it is sometimes referred to in the scientific community. There are several reasons caffeine anhydrous is included in an advanced fat burning formula, some of which include enhanced thermogenesis, increased lipid oxidation and increased mental focus and training intensity. Measured doses of caffeine have been reported in a large number of clinical studies to increase energy expenditure and thermogenesis.3,4,5 More importantly, for bodybuilders, some research has demonstrated that caffeine increases energy expenditure and thermogenesis without increasing protein or carbohydrate metabolism.6 This means caffeine can help you tap into stored fat without burning up the muscle protein or glycogen that is keeping your muscles looking full and dense. Caffeine anhydrous can also help you amplify your training intensity in the gym. Increased intensity means an increased metabolic rate and total caloric expenditure that can help prime your body for maximum fat utilization. Amplify Your Training Intensity In The Gym. To take full advantage of the thermogenic, metabolic and intensity-amplifying effects of caffeine anhydrous, look for a formula that contains caffeine anhydrous along with green tea catechins. The synergistic interaction of green tea catechins and caffeine will help keep your fat-burning signal amplified to keep your shredding program on track. Caffeine is one of the most popular stimulants on the globe. Completing the trifecta of powerful ingredients to include in the ultimate fat-burner is Cissus quadrangularis. Although many medicinal uses of this compound have been studied, recent research supports the use of Cissus quadrangularis as a powerful tool to drop the unwanted off-season pounds that you&apos;ve probably gained during your mass-building phase. 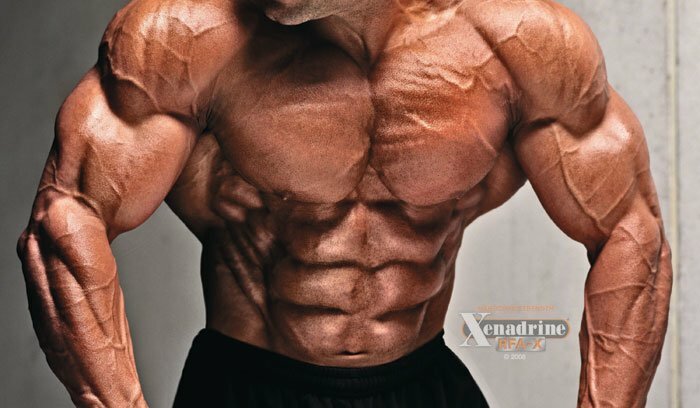 Look for the full-studied amount of Cissus quadrangularis in a fat-burner to help you cut through the excess off-season pounds that are masking the extreme muscularity that will truly get you noticed on any stage. Not only is Cissus efficacious, it is also quite safe. It&apos;s not enough to just have these key ingredients on the label of your fat burner. What&apos;s more important is that they&apos;re included in the full-studied and carefully calculated dose that is used in the research. Be alert for terms like "proprietarily-dosed", and "precisely-dosed" according to a clinical study to be sure you&apos;re getting the right amount of each ingredient. You&apos;ve likely heard about the fat burner Lipo 6. Learn about this phenomenal fat burner and what it contains that has made it so successful as a fat loss supplement! We&apos;ve established that there are supplements that will help obtain optimal results; it&apos;s time to look at why you should be taking them. Here are four great examples of how fat burners can help a well planned exercise and diet plan! Tsi D, Nah AK, Kiso Y, Moritani T, Ono H. Clinical study on the combined effect of capsaicin, green tea extract and essence of chicken on body fat content in human subjects. J Nutr Sci Vitaminol 2003; 49(6):437-441. Arciero PJ, Bougopoulos CL, Nindl BC, Benowitz NL. Influence of age on the thermic response to caffeine in women. Metabolism 2000; 49(1):101-107. Koot P, Deurenberg P. Comparison of changes in energy expenditure and body temperatures after caffeine consumption. Ann Nutr Metab 1995; 39(3):135-142. Astrup A, Toubro S, Cannon S, Hein P, Breum L, Madsen J. Caffeine: A double-blind, placebo-controlled study of its thermogenic, metabolic and cardiovascular effects in healthy volunteers. Am J Clin Nutr 1990; 51(5):759-767. Bracco D, Ferrarra J-M, Arnaud MJ, Jéquier E, Schutz Y. Effects of caffeine on energy metabolism, heart rate, and methylxanthine metabolism in lean and obese women. Am J Physiol Endocrinol Metab 1995; 269(4, Part 1):E671-E681. Oben J, Mandob D, Fomekong G Momo C. The effect of CQR-300 on weight and serum lipids in obese patients in Cameroon: a randomized double-blind clinical trial. (submitted for publication as of June 2006); 2006a.